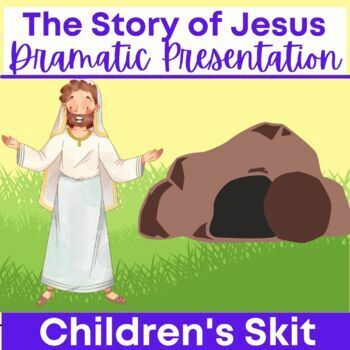 This dynamic dramatic presentations takes the gospels and brings them to life through children. Students do NOT have to memorize any lines. Student narrators guide the story of Jesus from creation to birth, life, death and resurrection while their classmates act out the story as disciples, Jesus, Mary, Joseph and even Pontius Pilate. This version includes 21 parts but more disciples can easily be added or parts combined together for your presentation. If you'd like help editing to make that happen please email me and I'd be happy to adjust the number of roles to fit your needs! Both PDF and .doc versions are included so you can edit as needed as well.